How to integrate these two apps? Go to Apps page, scroll down to the Smile integration and click on the "Add Smile" button. Next, you will be taken to the Smile Dashboard. Click "Authorize" to add the app. Now, you're set up, but keep reading to learn how it works and how to customize everything being sent out. 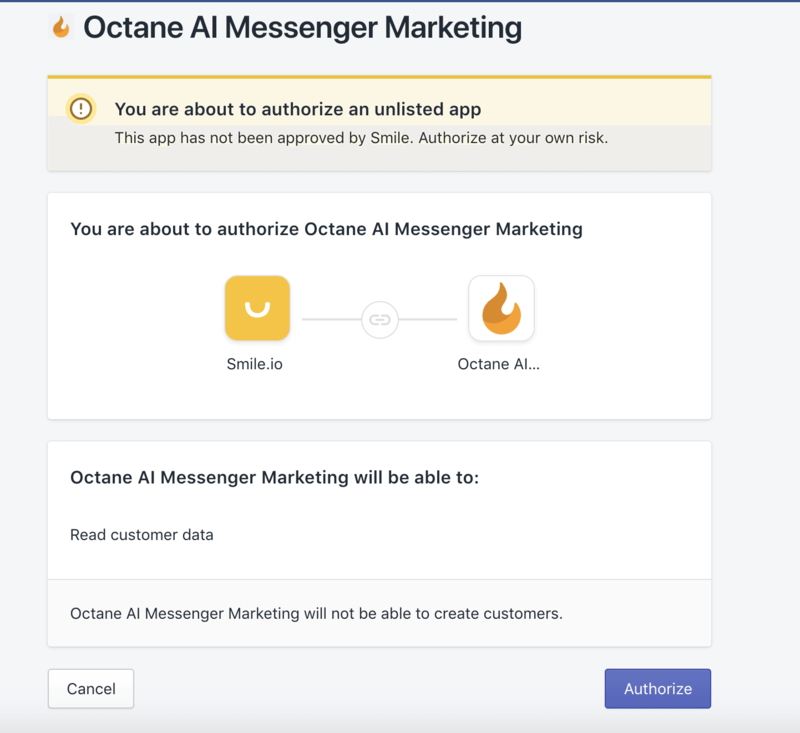 When a customer who is logged in as a Smile member on your store purchases products from you, 14 days after the product ships (although this timing is customizable), they will receive a push notification in Facebook Messenger. 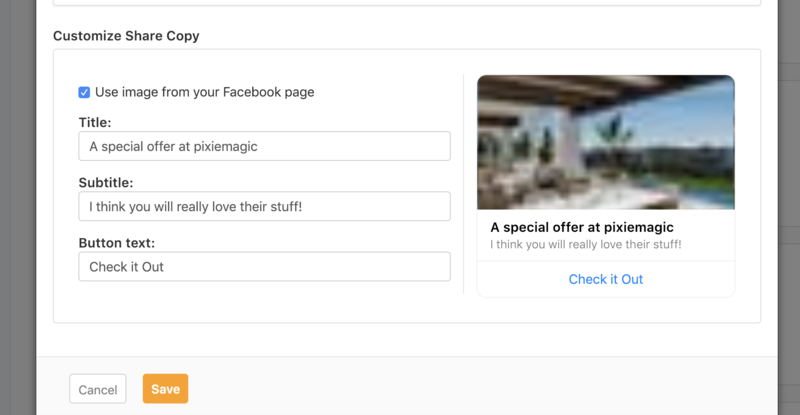 This includes an option to share the referral link with their Facebook friends directly through Messenger and earn rewards through Smile if their friends purchase from the shared link. *Please note that the message will only be sent if the customer has opted-in to receive notifications from your bot (if the customer checks the checkbox below the add to cart button, or they opt-in with the discount widget, website capture etc.). If the customer hasn't received the order yet or has a question regarding the product they can simply click on "I need help" button in the message and it will give them an option to leave a message for you. How do I customize the timing of the message? You can choose how many days after an order is fulfilled you want this message to go out. The default timing is 14 days. How can I customize the messages in this sequence? In the editor you will see options to customize all the messages for this integration. The referral message is the first message a customer will get for this integration. It will send based on the timing you have chosen.